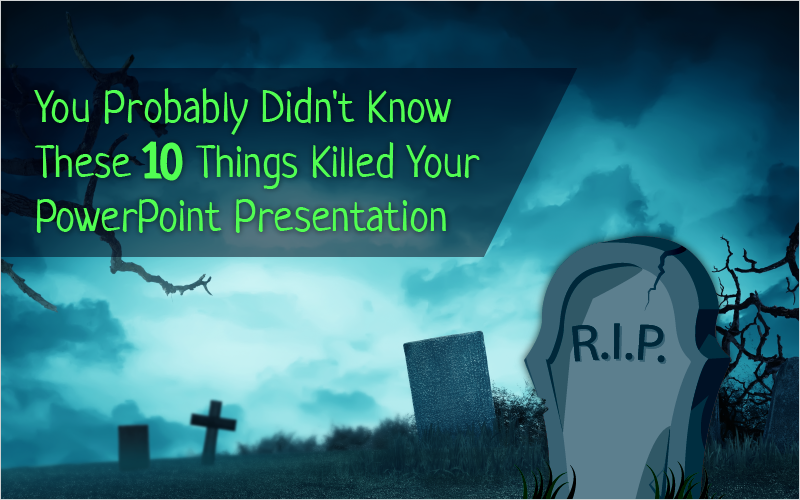 Last Tuesday, Jenn Fairbanks, an instructional designer at eLearning Brothers, walked us through 10 things that ruin a PowerPoint presentation and how to fix them. The first few steps that Jenn focused on had to do with the pre- and post- project production. Jenn constantly pointed out the need to crack down on what message you are trying to get across and then to subsequently deliver it without any garbage or fluff surrounding it, which can be harder than you’d expect. Your instinct and knowledge of the presentation is flawless because you created it. Everyone else is joining in for the first time ever. Build it well; deliver it clearly. Now, when you are in middle of your presentation, make sure you are using experiences and connect the learning to the audience. And do this in a big way! People love and connect well with stories. Towards the end of her presentation, Jenn told us to act like we know the content but to not be vain about it. Be fun and knowledgeable, just not vain. And lastly, she told us to keep the audience awake by violating the expectations people have of learning presentations. Stay tuned for our next webinar and be sure to pick up a free trial to start experimenting with the free assets!